All machines and mechanichal devices benefit from regular programmed maintenance, and roller shutters and industrial doors are no different. Austral Monsoon Door Services will inspect all your industrial doors and provide recommended Preventative Maintenance Services. Our trained staff will formulate a tailored programme to suit your business activities and the operational requirements of your roller shutters and industrial doors. Our service technicians follow a fifteen-point inspection and service procedure on each roller shutter. If the technicians recommend any major remedial works these are recorded in the Customer Service Report. 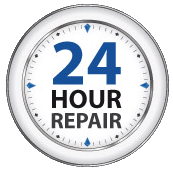 Major repairs can then be programmed for both convenience and cost. Regular inspections of your working environment ensures that you do not get any surprises relating to major breakdowns or capital outlays. To arrange a site visit from one of our technicians, please contact your nearest Service Centre. Prolongs the operating life of roller shutters & industrial doors. Improves the operation of roller shutters & industrial doors. Extends the period of trouble-free operation. Reduces the incidence of breakdowns. Reduces the incidence of component failures. Reduces the incidence of accidents. Reduces the costs and inconveniences relating to operation delays. Reduces the cost of one-off repairs. Improves the response time to breakdowns because the location of doors, personnel and site conditions are all known to us.